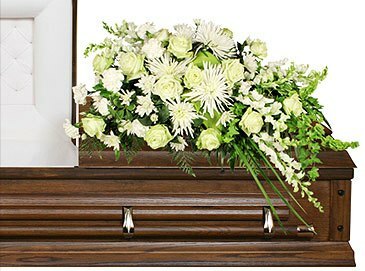 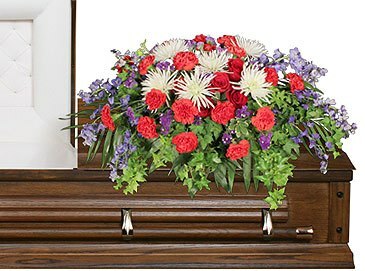 Honor the departed with a majestic casket spray and bring grace and beauty to a funeral or memorial service. 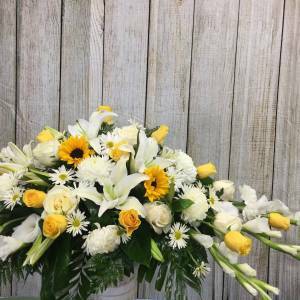 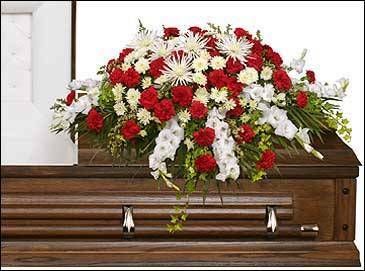 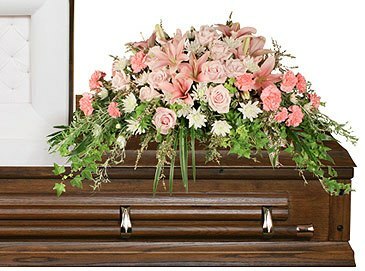 The most important arrangement in a funeral service is the floral tribute that adorns the casket. 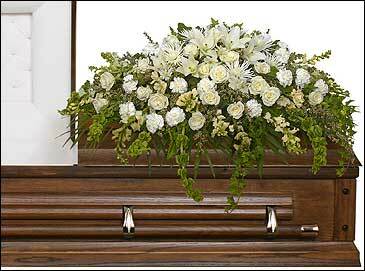 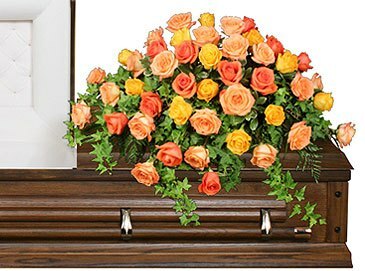 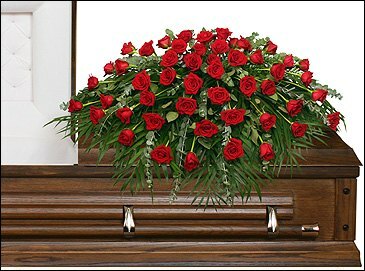 Casket sprays are the central flower arrangement and thus create a beautiful tribute to the deceased. 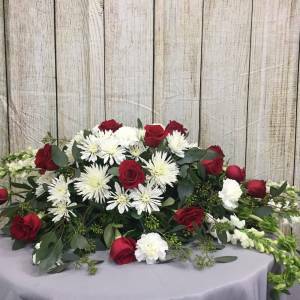 These arrangements come in several different colors and styles. 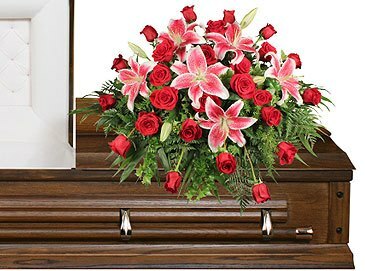 Each casket spray comes with a personalized ribbon to celebrate a life well lived. 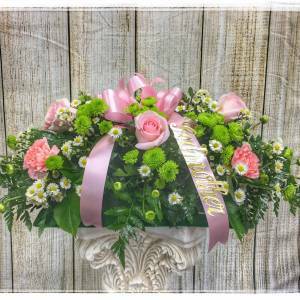 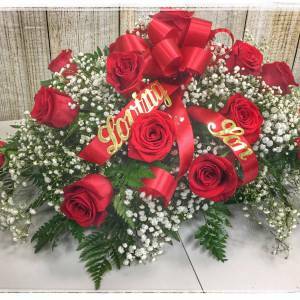 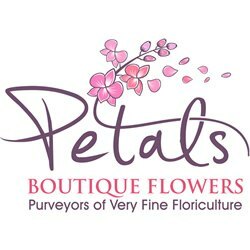 Each design is custom arranged, so give us a call and see what flowers are in season.